Welcome to the Dragon Boat 2019 merchandise store. Please select the items you wish to purchase below. All purchased apparel will be available for pick-up at the Dragon Boat Upstate Festival on May 4, 2019. If you have any questions about the store, please contact Louise Mariani. Want to remember this year's event for years to come? Purchase a full-color, long-sleeved commemorative t-shirt for you, your family and your friends! 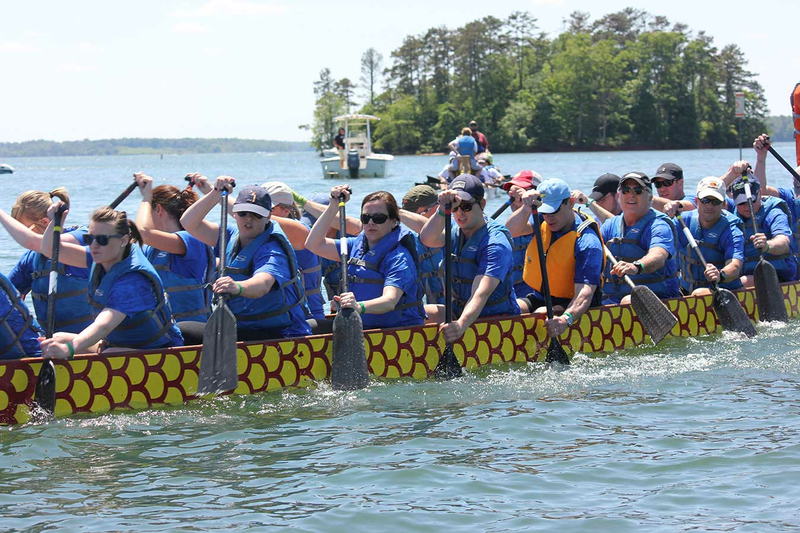 The front of the t-shirt will be customized for this year's event, while the back will feature each of the competing teams participating in this year's Dragon Boat. Your shirt purchases will be available for pick-up at the event. We're introducing a new way for you to honor or remember your loved ones that have been touched by cancer. This year we're offering 17"X15" tribute flags that will be strung with festive, colorful flags across the festival space. The sign will be customized with your personal message. At the end of the event, your sign will be available for you to take home. 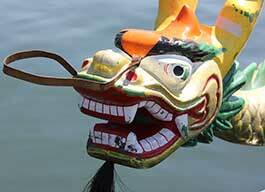 Get your Dragon Boat hat while supplies last! This versatile stone-colored hat features the Dragon Boat logo on the front. Purchase a full-color, short-sleeved commemorative t-shirt for you, your family and your friends! The front of the t-shirt will be customized for this year's event, and the back will feature each of the competing teams participating in this year's Dragon Boat. Your shirt purchases will be available for pick-up at the event.